Q1 What is embroidery digitizing? A: Before any design can be embroidered, it needs to be converted into a format that is accepted and readable by the embroidery machine used. The digitized file basically tells the embroidery machine where, how and which color to use while stitching. We are here to provide you with that service. Q2 How do I get my artwork digitized? A: Firstly, you will need to register to become a member of Quick Digitizing. Once you are a member, you will be able to click on the ‘New Quotation’ or ‘New Order’ links at the back-end of the system. If you would like to have a quotation, but do not want to register, you may also email us your quotation request at support@quickdigitizing.com. Please be sure to include the size, color and fabric information so that we can give an accurate quotation. Q3 How do I register with Quick Digitizing? A: You can click on the ‘Registration New’ link on the top right hand corner of Quick Digitizing’s index page. Fill in the appropriate information, then click ‘Submit’. Make sure that the email address given is correct. Once we have confirmed your registration, you will be able to use your login and password to access the back-end service. Q4 What are the advantages of registering with Quick Digitizing? A: You will receive 25% off your first design, no matter what the stitch count. Please note that our minimum cost per design still applies. Q5 How do I send an order or quotation or pay for a design once I am registered? A: Please click on the ‘Work Flow’ link under the ‘Member’ heading to find a detailed description of how to work your way around our back end system. Please contact us if you have any further queries. Q6 How should I send my artwork? A: Quick Digitizing accepts almost any computer generated designs. The design can be scanned or drawn using computer software. As long as the design is relatively clear and the colors are specified in the order form, we will be able to convert the design into digitized formats. Q7 What image formats do you accept? A: We accept almost any kind of computer generated formats. You can us the image in any of the following formats: BMP, JPG, GIF, TIF, PCX, CDR, AI, PSD, PDF, PCT, WMF. Feel free to send other formats that are not listed. We should be able to view the artwork, however, our preferred format is JPG since it is small and can be viewed easily by many software. Q8 How do I send you my artwork? Q9 How long will the digitizing process take? A: Normally we should be able to complete the digitizing within 24 - 48 hours, but if there is a special need to receive the product sooner, let us know in the order form and we will cater to your needs. Q10 Which output can I choose for my digitized designs? A: We can create any output required by your machine. Whether you are using a Tajima, Barudan, Happy, Brother, Wilcom, or Pfaff machine, we will be able to create an output suitable for your machine. You do need to specify which type of machine you wish to use the digitized design on, so that we can create a suitable output. Q11 How do I pay for my designs? A: We have a simple online credit card payment system that accepts all VISA and MasterCard. Once we have completed digitizing your image, you will be able to select the design that you would like to pay for and click ‘Pay Order’. Once the payment has been confirmed, you will be able to download the completed embroidery design at our web-site. Please not that you must be logged-in in order to pay for a design. Q12 Which Credit Card do you accept? A: We currently accept VISA and MasterCard. A: It is very safe to enter your Credit Card details at our online payment system. We use a gateway system provided by the UOB Bank. They are Thailand’s leading e-commerce bank, with a great reputation for service and security. They are equipped with the latest security technology and are also approved by VeriSign. 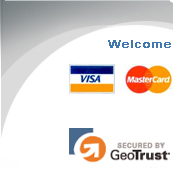 You can be sure that there will not be any security issues while processing your online payment. A: Please feel free to contact us with any further questions at support@quickdigitizing.com. Copyrights © 2005 , Embroidery Digitizing by Quick Digitizing.com. All rights reserved.